2-way. 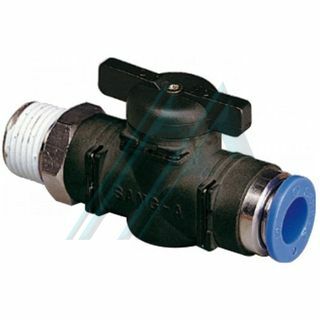 2 position shut off valve. Body made of resin, suitable for compressed air applications and non-aggressive fluids. Ergonomic, compact design and instant connection. Teflon tapered thread; cylindrical with O-Ring. Metal parts of nickel plated brass.